Our culture of care at Eagle Drilling NQ sets us apart. The safety and health of our team and our colleagues on worksites is always our first priority. Our management team is committed to being on-site and hands-on, making sure our drilling teams have the equipment, systems and support to address risks and stay safe. Our Safety Management System incorporates procedures, policies and company statements, and aligns these with our induction guidelines and processes. This system is accessible and is easily maintained and audited. 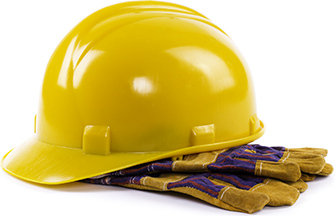 We’ve proudly maintained a workplace free of LTI (lost time injury) for more than seven years. All of the staff and contractors at Eagle Drilling NQ are fully trained to ensure competency in the Safety Management System. Together we are committed to a process of continuous improvement to maintain a safe, efficient and effective work environment. At Eagle Drilling NQ we take our responsibility for workplace health and safety seriously. It’s more than a legal exercise to meet our safety obligations. At the heart of our company is a commitment to returning our employees safely home to their families. The purchase of an aircraft to change over crews in remote locations has helped reduce fatigue on long drives to sites from Charters Towers. It’s just another way we show our commitment to staff safety.